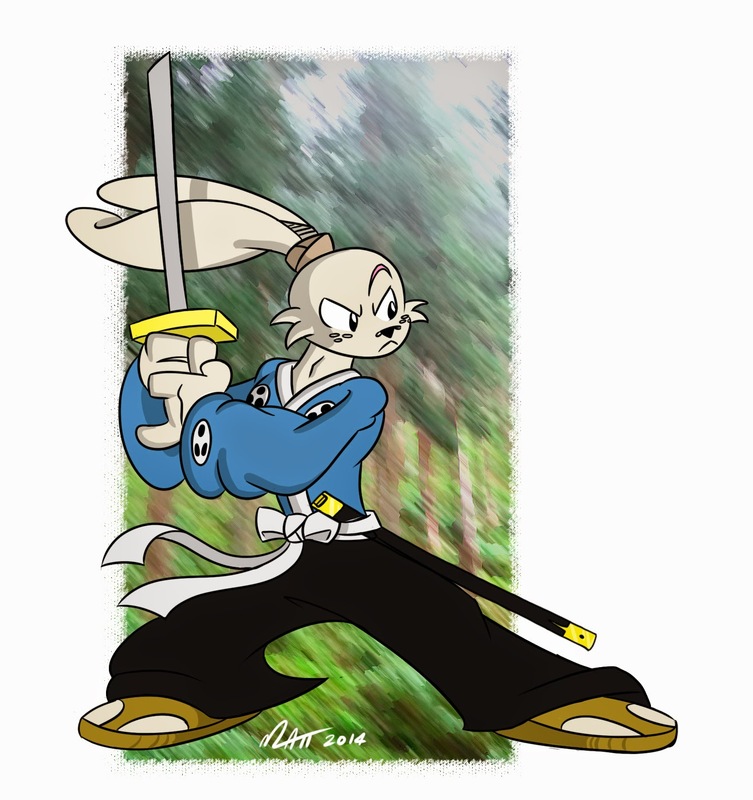 Usagi Yojimbo: The Sakai Project – Matt Downs Draws! In honor of Stan Sakai’s 30th year of doing his Usagi graphic novel epic, I figured I would pitch in spiritually and do my own fan art. It’s a special project that the Comic Art Professionals Society pulled together in order to help Stan’s ill wife. All proceeds from the book sales go to the Sakai’s medical bills. It was unfortunate for me, but if you think about it, that was great news for Stan. I was able to track down a copy of the book (The last copy in fact! Thank you House of Secrets! ), and I have already looked through it 5 times already. It’s a real treat to see some of my favorite artists’ own rendition of the sword wielding samurai rabbit.